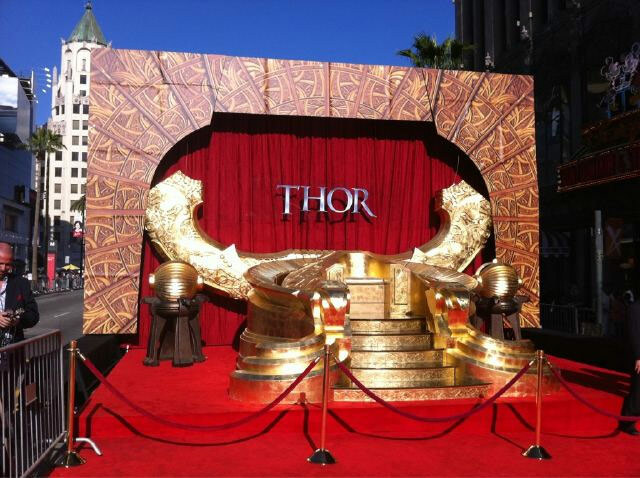 The “Thor” Hollywood premiere took place Monday evening at the El Capitan Theater in Los Angeles. Lead actor Chris Hemsworth arrived on the red carpet in style, stepping out of a black S.H.I.E.L.D. Edition Acura MDX. 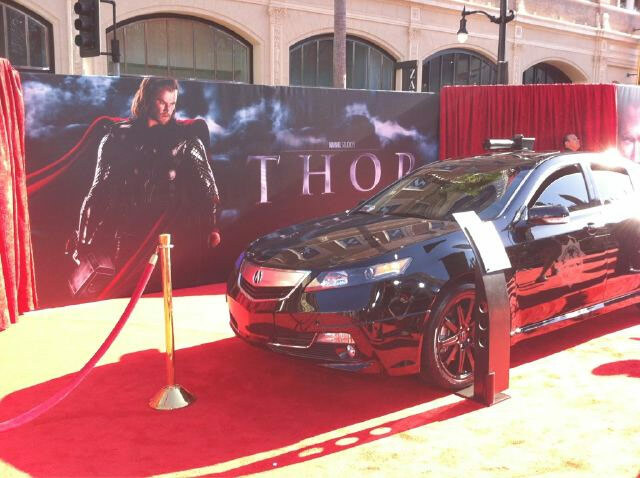 Also parked on the red carpet was the S.H.I.E.L.D. Edition Acura TL. The event was streamed live on marvel.com hosted by Isaiah Mustafa(Old Spice guy). The 2 hour replay can still be seen on www.marvel.com. “Thor”, which stars Chris Hemsworth, Anthony Hopkins and Natalie Portman opens in theaters May 6.